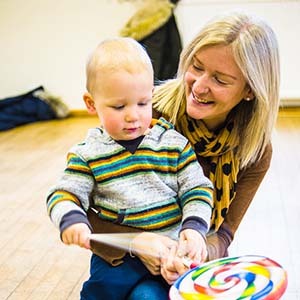 Renowned professor of music, Philip Sheppard, has identified that all children are born with musical ability and recommends giving them the opportunity to explore and develop their musical skills. Music helps mental development, co-ordination and enables creative expression; all these things are at the heart of Mini Maestros sessions. There is nothing more rewarding than watching a child walk up to a box of instruments for the first time, full of confidence and excitement, or seeing the anticipation on the children’s faces as the next instrument or activity is revealed.